Natasha Pickowicz represents the new breed of pastry chef–they’re busy, curious, creative, and political. 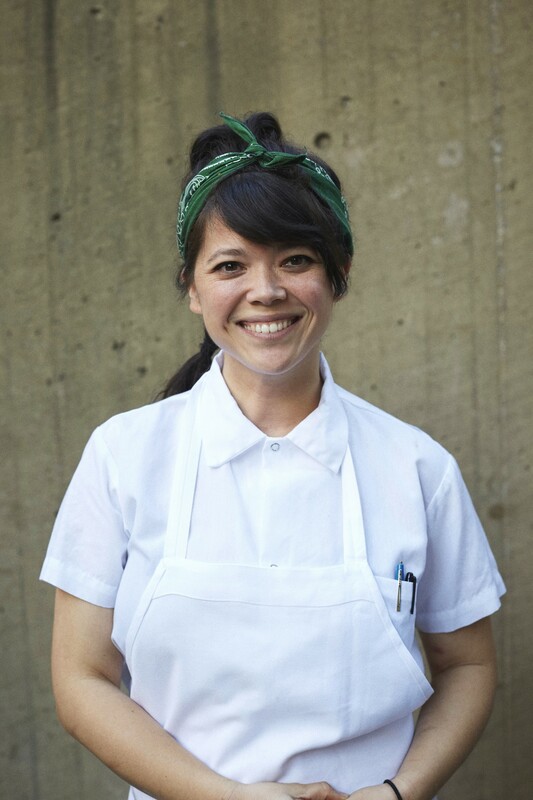 Natasha oversees the teams at not one, but two acclaimed restaurants in Manhattan: Flora Bar at the Met Breuer museum and Café Altro Paradiso, where she turns out beautiful desserts and baked goods, from her grey salt sticky buns to her bombolini alla crema. She contributes her work to cool happenings around town, like the Wifey cafe-gallery pop-up in Brooklyn last fall, and she helps organize important food moments, like last year’s all-star bake sale that benefited Planned Parenthood. The sale is back this year and will take place Sunday, April 8th, at Café Altro Paradiso, and features yet another amazing roster of talent, including Erin McKenna’s Bakery, King, La Newyorkina, Mah Ze Dahr, Poppy’s, Ovenly, Otway, and The Smile. If you’re going to the sale, go early. Tune in to this episode to hear how Natasha went from English Lit major to one of pastry’s brightest talents, what her pastry resolutions were, and how to soak your cake layers. You’ve never done that before? Natasha will walk you through it. Thank you to our sponsors for supporting today’s episode. Emmi, the maker of delicious cheeses from Switzerland; Le Cordon Bleu, the legendary culinary school; and Bob’s Red Mill, who wants you to eat wisely because you’re irreplaceable.